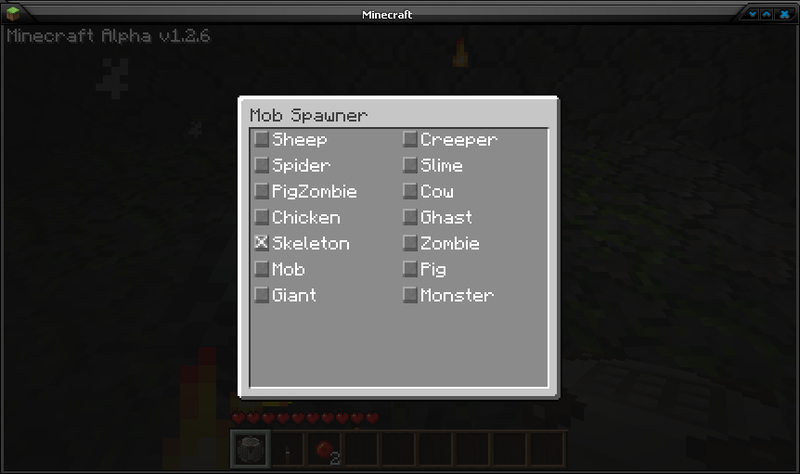 Adds a GUI to all mob spawners, that will allow you to pick what mob to spawn. I also reallowed mining spawners. You can disable spawners with redstone aswell. Should be compatible with all mobs, but don’t expect the mobs with special spawn conditions to work everywhere. Animals require grass, Monsters require darkness, Slimes require being in their special chunks, and 0-16 depth.